Why is platinum so sought-after in jewellery? You are here: Home » Custom Jewellery » Why is platinum so sought-after in jewellery? When you are selecting an engagement ring or wedding ring, you always want the best possible material. While many opt for gold as their precious metal of choice, it is far from the only option available to you. White gold is also extremely popular – but again, somewhat of a classic. For those that want something a little rarer, a little more intricate, and with even greater purity than these spectacular metals, platinum rings are the way to go. Here is why platinum is such an enticing prospect for jewellery shoppers. One reason people choose platinum for engagement rings and wedding rings is its rarity. Approximately 30 times more scarce than gold, it is found in only a few spots around the planet. This includes alluvial deposits in the Arctic Circle of Russia, the faraway Ural Mountain range (also Russia), and the awe-inspiring Bushveld Complex, a gargantuan disc of metals buried deep underground in South Africa. While it can be sourced from places in Canada and Zimbabwe, the handful of mines in Russia and South Africa generally account for some 60-70 per cent of the world’s platinum. Globally, volumes of platinum produced every year are just a fraction of gold and silver. It’s a level of scarcity that makes platinum wedding rings extremely coveted. 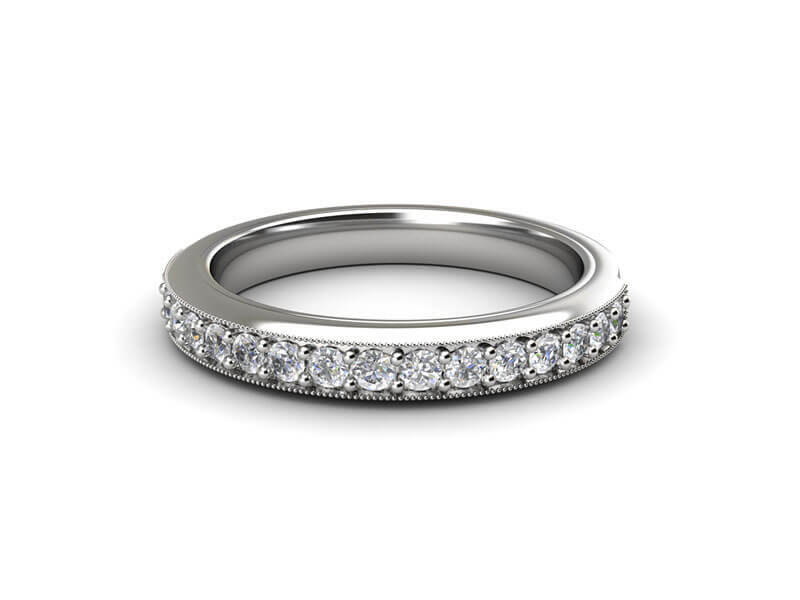 Eternity rings are another popular use for platinum in jewellery. When you purchase a gold engagement or wedding ring, purity is key. While 24 karat gold is 100 per cent pure, this decreases at a clip – and 24 karat gold is often too soft to set gemstones in. 22 karat gold is approximately 91 per cent pure, while 18 karat gold is around 75 per cent pure. This continues all the way down to 10 karat gold, which has 41.7 per cent purity. All platinum used in our jewellery, however, tends to sit around 95 per cent purity. This consistency and high level of original material in your jewellery is yet another reason so many people opt for platinum rings. Pliability is one of the most important factors when choosing the material your engagement ring will be made from. Higher pliability means the precious metal can be bent and shaped more easily. Platinum has a very high pliability level – a single gram can be flattened out to create a wire nearly two kilometres in length. Platinum rings can be made in nearly any design or shape. This means platinum rings can be made in nearly any design or shape. They are also able to fit a range of precious stones. 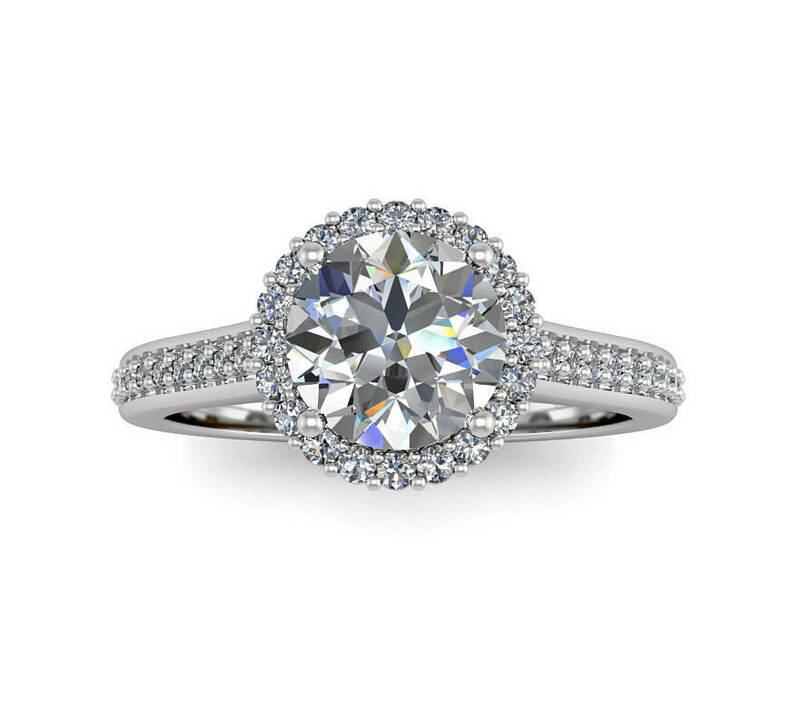 It provides a level of versatility and durability that makes platinum rings the envy of many. Platinum’s unique qualities also stretch to its durability. As a more dense metal than gold, it is tougher and more resistant to wear and tear. It is an ideal precious metal for engagement rings and wedding rings that will be worn daily, or that will be exposed to the elements on a regular basis. However, platinum rings are not impervious to damage entirely. It can be scratched or damaged. In this case, it is simply a matter of taking it into Joseph George for a polish. According to the Huffington Post, there is only 160 tonnes of platinum mined every year – and much of this is used in the car production process, leaving very little in the jewellery industry. This rarity, durability, unique pliability and incredible beauty shapes platinum as one of the most-sought after jewellery metals on the planet. If you want to secure your own piece of this magical metal, contact Joseph George today.